Note: The 3 division winners in each conference are guaranteed a top 4 seed. If 2 teams have identical records, and one team is a division winner, that team gets the higher seed. If both teams win their division or if neither team wins its division, the team which wins the head-to-head matchup during the season gets the higher seed. If the head-to-head matchup was tied as well, whichever team has a better record against its divisional opponents gets the higher seed. The Heat looked suspiciously beatable at times last season against the Pacers and Spurs and struggled at times during the regular season to assert their dominance over teams like the Knicks. Of course, along with these “struggles” came a 27-game winning streak and a second straight championship (even if they needed a total collapse from the Spurs in the Finals), so there’s not much that anybody can complain about. LeBron James is by far the best player alive and is forcing his way into the greatest-of-all-time conversation (like it or not). Dwyane Wade may be a bit past his prime but is still a star, and he should be better than he was down the stretch last season after getting some treatment on and rest for his ailing knees. Chris Bosh is an all-star in his own right despite frequently being overshadowed by his two super-teammates, and the Heat have a decent supporting cast, one that is certainly good enough given how amazing their top three players are. 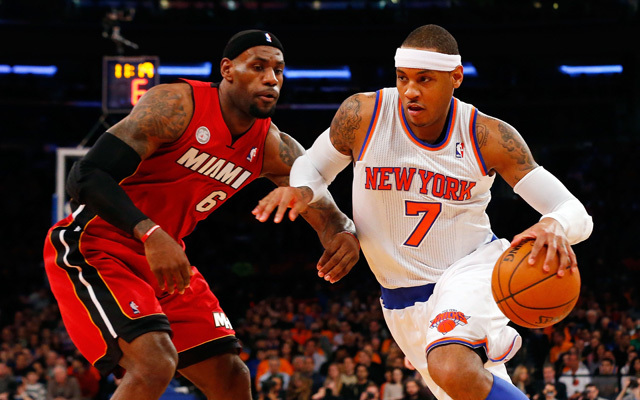 The Heat may slip a bit this season, but are still the early favorite to win the East. Roster: Derrick Rose, Carlos Boozer, Mike James, Luol Deng, Kirk Hinrich, Joakim Noah, Tony Snell, Jimmy Butler, Taj Gibson, Marquis Teague, Erik Murphy, Mike Dunleavy, Nazr Mohammed, Tom Thibodeau (Coach). 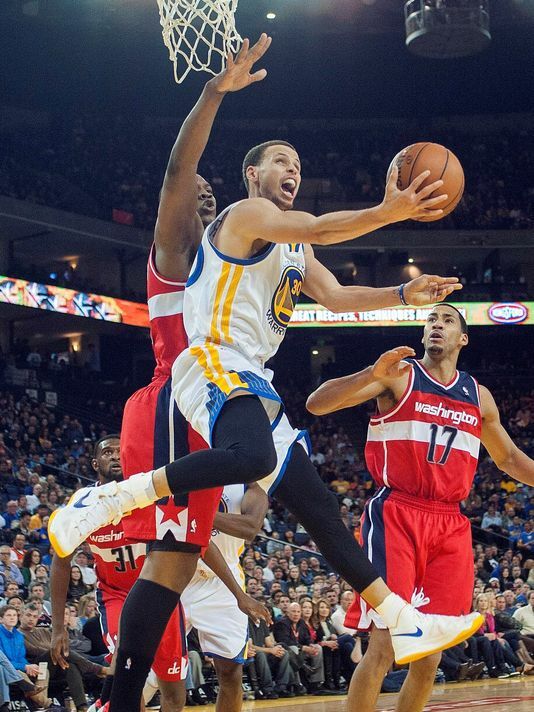 I cheated a bit… I waited until the preseason was over to write my NBA preview. 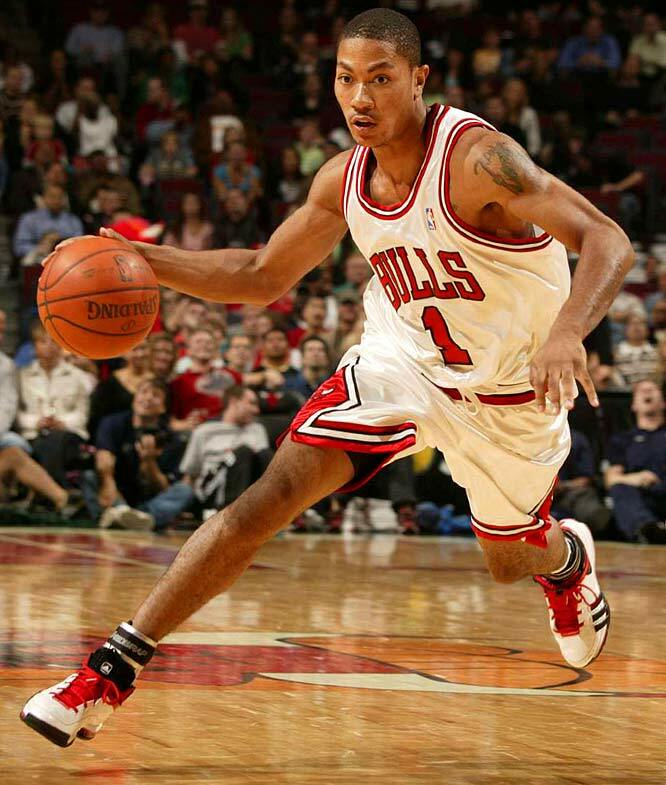 What I saw from Derrick Rose during the preseason was enough to convince me that former MVP Derrick Rose is back… and it’s about damn time. Rose looked as electric as ever in his return to the court, and if he can stay healthy, what was already a formidable squad without him returns to being an elite team in the NBA. 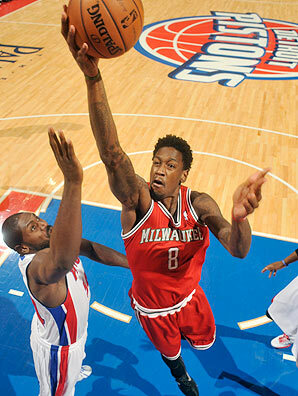 The Bulls could make a serious run for the top seed in the East if Rose’s body holds up. Roster: Chris Smith, Amar’e Stoudemire, Raymond Felton, Kenyon Martin, Tim Hardaway Jr., Tyson Chandler, Carmelo Anthony, J.R. Smith, Pablo Prigioni, Beno Udrih, Iman Shumpert, Toure Murry, Cole Aldrich, Metta World Peace, Andrea Bargnani, Mike Woodson (Coach). There’s a lot that can go wrong here, that is undeniable. What I don’t understand is the seemingly global assumption that everything will go wrong. The Knicks were the second-best team in the Eastern Conference last year, won the season series against Miami convincingly, finally won a playoff series, and may have gone farther had four of their top five players not battled injury during the second round against Indiana. Nearly all of last year’s team is back, and with the Knicks finally taking steps to avoid overworking Amar’e Stoudemire, this could be the year they finally keep him on the court for the lion’s share of the season. An injury to Anthony would probably sink the ship altogether, but with a bit of luck— hopefully more than they’ve had recently— there is no reason to think the Knicks can’t still be a top team in the East. 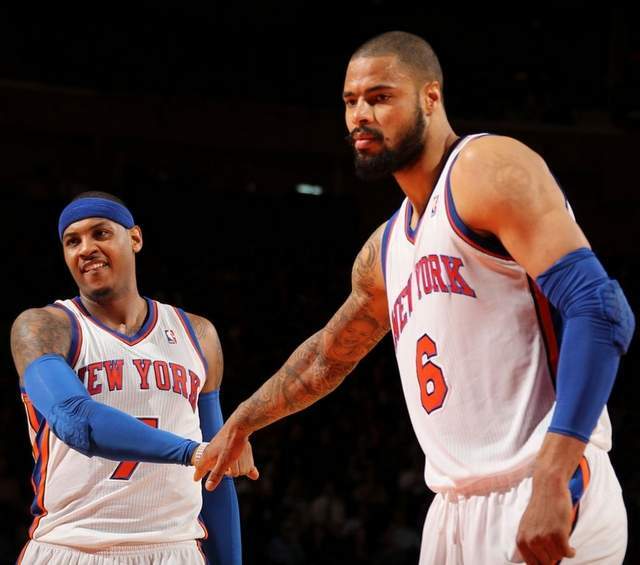 Note: An extensive Knicks Season Preview will be published later on New York Knicks Memes. Roster: Lance Stephenson, George Hill, Luis Scola, Rasaul Butler, Solomon Hill, Orlando Johnson, Donald Sloan, David West, Chris Copeland, Paul George, Ian Mahinmi, C.J. Watson, Danny Granger, Roy Hibbert, Frank Vogel (Coach). So apparently, I’m lower on the Pacers than anybody else is. The Pacers are a very good team, and might have made the Finals last season if they had bothered to stop the best player alive from getting an easy layup at the buzzer. But they were at their best during those three weeks against the Knicks and Heat, and because they were so good the last time we saw them, a lot of people are throwing out a much larger sample size: the regular season, during which Roy Hibbert, Paul George, and the Indiana Pacers were good… very good… but not elite. 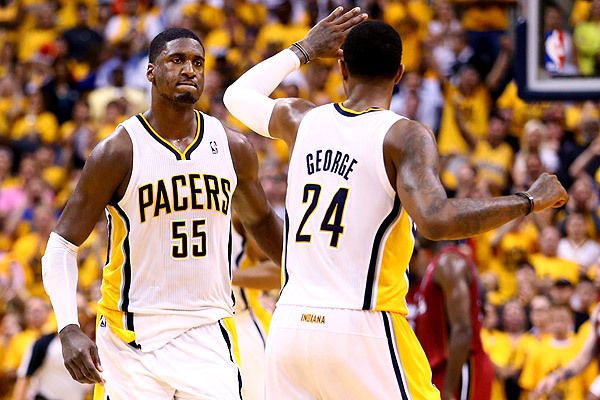 George and Hibbert are still developing, but I think both players are being slightly overrated as things stand right now. And after all that hype about Danny Granger’s return, the team announced that Granger will miss at least the first three weeks of the season. The Pacers were the 3 seed last year, and even though things really clicked for them in May and June, I’m not sold on them as a championship team just yet. Roster: Andray Blatche, Mason Plumlee, Kevin Garnett, Alan Anderson, Joe Johnson, Deron Williams, Tyshawn Taylor, Brook Lopez, Shaun Livingston, Tornike Shengelia, Reggie Evans, Jason Terry, Mirza Teletovic, Paul Pierce, Andrei Kirilenko, Jason Kidd (Coach). The Nets managed to trade for Paul Pierce and Kevin Garnett this summer, which would be a lot more exciting if this were 2008. Still, while the two ex-Celtics are well past their primes, this team is dangerous, with a star-studded starting five of Williams, Johnson, Pierce, Garnett, and Lopez. But the team is not too deep, although Kirilenko was a fantastic signing, Evans is a terrific rebounder (if nothing else), and Terry might still have a bit left in the tank). And even the starting lineup gives me some concern… Johnson, Pierce, and Lopez are seldom willing to pass the ball, and Pierce, KG, and (to a lesser extent) Johnson are declining. Can their rookie coach make it work? This is a very good team, but I’m not sure I’m buying into the championship hype, and there are a lot of things that can go wrong here. And as far as their regular season record goes, Coach Kidd will likely give Garnett and Pierce a lot of rest in an effort to keep them fresh for the playoffs, and this could cost them a few wins in the regular season. Roster: (Andre Drummond, Chauncey Billups, Rodney Stuckey, Kentavious Caldwell-Pope, Josh Smith, Brandon Jennings, Tony Mitchell, Greg Monroe, Will Bynum, Gigi Datome, Kyle Singler, Charlie Villanueva, Jonas Jerebko, Peyton Siva, Josh Harrellson, Maurice Cheeks (Coach). Just when I was getting excited about the Pistons, the team announced that new addition Brandon Jennings will miss several weeks with a tooth injury. Still, this team is much improved and should be solid this season. The starting lineup of Jennings, Billups, Smith, Monroe, and Drummond (if Coach Cheeks chooses to run with those five) is one of the best in the league, and Caldwell-Pope is one of my favorite rookies. The Pistons probably aren’t good enough to crack the East’s top five just yet, but they have a very, very good shot to finally get back to the playoffs. Roster: C.J. Miles, Jarret Jack, Kyrie Irving, Dion Waiters, Earl Clark, Matthew Dellavedova, Sergey Karasev, Tristan Thompson, Henry Sims, Anthony Bennett, Anderson Varejao, Andrew Bynum, Carrick Felix, Alonzo Gee, Tyler Zeller, Mike Brown (Coach). 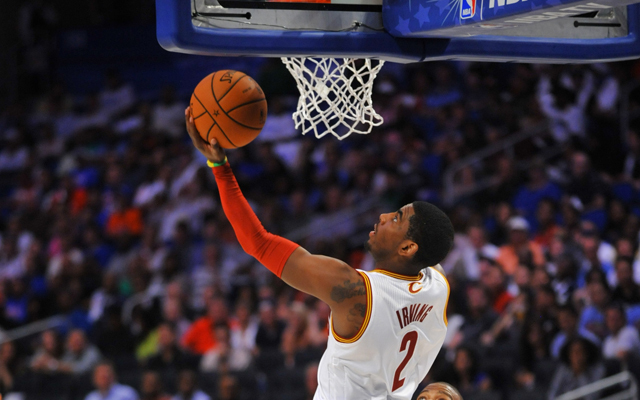 Kyrie Irving is already one of the game’s best point guards and he is still improving. The Cavs have one eye on next year’s LeBron sweepstakes, but the team they have right now should be good enough to flirt with the 500 mark and make the playoffs. Irving is a stud, Waiters has great potential, Varejao is a top big man when healthy, and Bynum will be an elite player if he can stay on the floor. If Thompson can develop a bit more on offense, and Bennett can prove that he was the right choice for the top pick in this year’s draft, the Cavs could make some noise. Roster: Jeff Teague, Louis Williams, Paul Millsap, DeMarre Carroll, Pero Antic, Jared Cunningham, Shelvin Mack, John Jenkins, Gustavo Ayon, Al Horford, Dennis Schroeder, Cartier Martin, Kyle Korver, Mike Scott, Elton Brand, Mike Budenholzer (Coach). 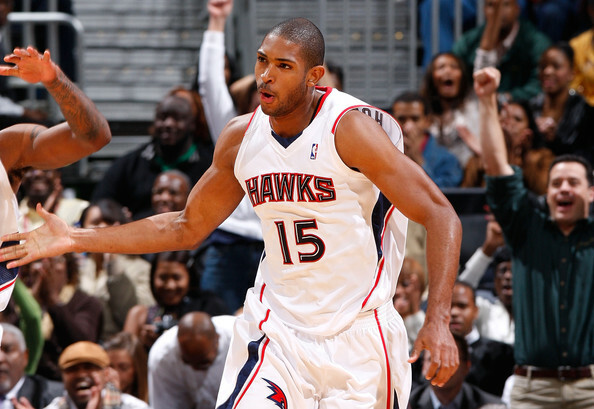 Paul Millsap was a nice signing, but the loss of Josh Smith will hurt the Hawks on both offense and defense. Teague is one of the more underrated point guards in the league and Horford is one of the game’s best centers, but the Hawks really don’t have much after those two and Millsap. Fortunately, in a top-heavy East, they might not need much more than that to make the playoffs. Roster: Trevor Ariza, John Wall, Bradley Beal, Marcin Gortat, Eric Maynor, Al Harrington, Martell Webster, Kendall Marshall, Kevin Seraphin, Glen Rice, Garrett Temple, Otto Porter, Jan Vesely, Shannon Brown, Malcolm Lee, Chris Singleton, Trevor Booker, Nenê, Randy Wittman (Coach). The Wizards have a talented team but a lot of injury risk. Their recent trade for Gortat gives another solid frontcourt player to put alongside Nenê, and the backcourt of Wall and Beal will be exciting to watch. But until the key guys on this team show that they can be healthy and productive for a full season, I don’t trust them. Roster: Landry Fields, Quincy Acy, Austin Daye, Kyle Lowry, DeMar DeRozan, Dwight Buyck, D.J. Augustin, Amir Johnson, Steve Novak, Jonas Valanciunas, Rudy Gay, Terrence Ross, Aaron Gray, Tyler Hansbrough, Julyan Stone, Dwane Casey (Coach). 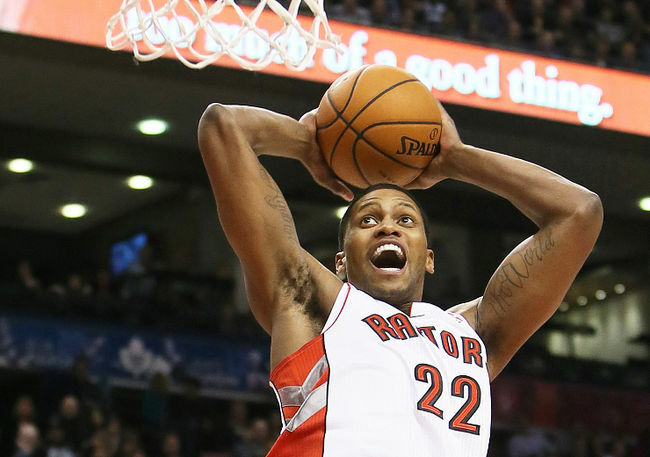 Last year’s trade for Rudy Gay gave the Raptors a go-to scorer and gives this year’s team a chance to compete for one of the final playoff spots in the east. Lowry is a pretty solid point guard, DeRozan is one of the most athletic players in the league and Valanciunas has terrific upside, but after those 4 guys, Toronto has almost nothing, and I don’t think that Gay, Lowry, DeRozan, and Valanciunas alone will lead this team to the playoffs… but they certainly have a chance. O, how the mighty have shipped their core to the Nets for nearly nothing in return! When Rajon Rondo comes back from his ACL tear (and nobody knows exactly when that will be), the Celtics might be decent, but until then, their best player is Jeff Green. This won’t go well. Roster: O.J. Mayo, Caron Butler, Ekpe Udoh, Nate Wolters, Ersan Ilyasova, Larry Sanders, Miroslav Raduljica, Carlos Delfino, Brandon Knight, Gary Neal, Luke Ridnour, Khris Muddleton, Zaza Pachulia, John Henson, Giannis Antetokounmpo, Larry Drew (Coach). Milwaukee lost their two best scorers this summer when Monta Ellis left for Dallas and Brandon Jennings was traded to Detroit. Mayo can put the ball in the basket, and the defense, anchored by Sanders, might be decent this season… but the team has almost no depth and lacks star power, meaning they probably won’t be going anywhere. Roster: Bismack Biyombo, Jeff Adrien, Jannero Pargo, Ramon Sessions, Ben Gordon, Gerald Henderson, Josh McRoberts, Michael Kidd-Gilchrist, Kemba Walker, Al Jefferson, Brendan Haywood, Cody Zeller, Anthony Tolliver, Jeffrey Taylor, James Southerland, Steve Clifford (Coach). Michael Jordan may have been the best player on the team last year, which is probably a bad sign given that the greatest player of all time is the 50-year-old owner, not the starting shooting guard. But the Bobcats should actually take a step forward this season, after signing star big man Al Jefferson and drafting one of the nation’s top bigs in Cody Zeller. 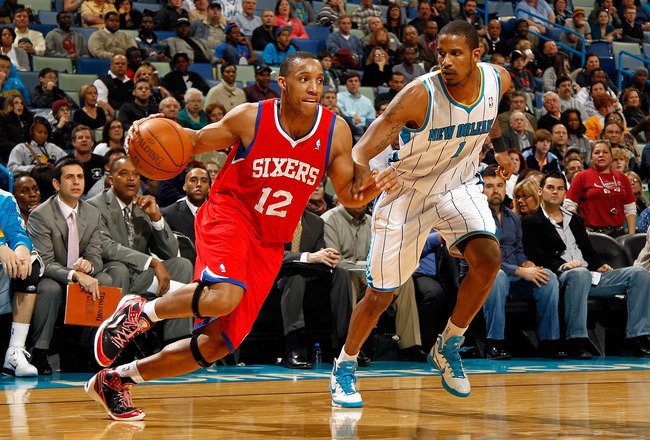 Kemba Walker is electric, and Gerald Henderson is much better than most fans give him credit for. Michael Kidd-Gilchrist isn’t a star, but he is a pretty solid role player. 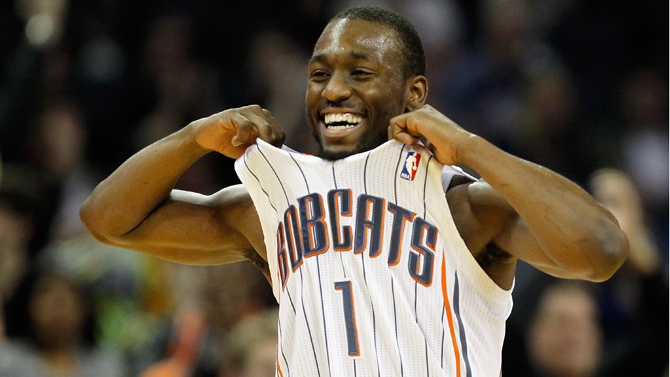 Overall, the Bobcats could have a competent team this season. Of course, their standards for competence are lower than most. Roster: Doron Lamb, Kyle O’Quinn, Aaron Afflalo, Victor Oladipo, Nikola Vucevic, Ronnie Price, Glen Davis, Tobias Harris, Jameer Nelson, Hedo Turkoglu, Maurice Harkless, Solomon Jones, Andrew Nicholson, Jason Maxiell, E’Twaun Moore, Jacque Vaughn (Coach). 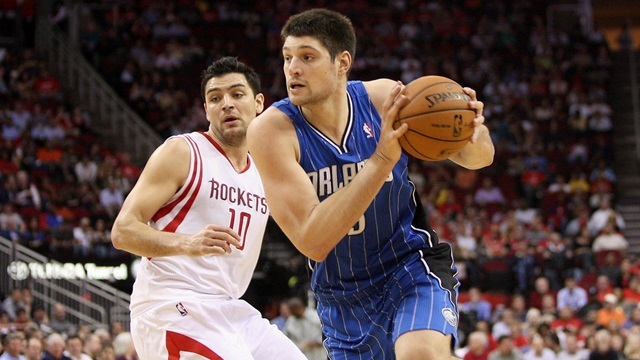 Nikola Vucevic showed that he might have what it takes to become an all-star big man in Orlando before his inevitable defection to Los Angeles. Victor Oladipo is the early favorite for the Rookie of the Year award, and Big Baby Davis is a lot better than his nickname implies. Afflalo and Nelson are solid as well. But this team is still a work-in-progress. It has some potential, and their salary cap situation is very good, but they will need a couple more years of drafting and developing before they are relevant again in the East. Roster: Spencer Hawes, Michael Carter-Williams, Nerlens Noel, Arnett Moultrie, Darius Morris, Tony Wroten, James Anderson, Evan Turner, Thaddeus Young, Jason Richardson, Hollis Thompson, Daniel Orton, Lavoy Allen, Kwame Brown, Brandon Davies, Brett Brown (Coach). The Sixers are really going for it this season. And by “it”, I mean the top pick in the draft. For the second summer in a row, Philly traded their best player for a big man with serious knee concerns. Not-So-Bold Prediction: It won’t work out this time, either. Roster: Russell Westbrook, Perry Jones III, Nick Collison, Kendrick Perkins, Derek Fisher, Ryan Gomes, Serge Ibaka, Jeremy Lamb, Steven Adams, Reggie Jackson, Andre Roberson, Thabo Sefolosha, Hasheem Thabeet, Kevin Durant, Scott Brooks (Coach). Seriously, can you imagine if this team still had James Harden? Even without The Beard, this team is still very dangerous, with the league’s second best player leading the way. Durant will have to handle almost all of the offensive load until Russell Westbrook gets back, but a solid, deep supporting cast and a fantastic defense should keep this team very competitive before Westbrook’s return makes them truly elite. Roster: Byron Mullens, Darren Collison, Chris Paul, J.J. Redick, Maalik Wayns, DeAndre Jordan, Jared Dudley, Jamal Crawford, Ryan Hollins, Matt Barnes, Reggie Bullock, Blake Griffin, Antawn Jamison, Willie Green, Doc Rivers (Coach). 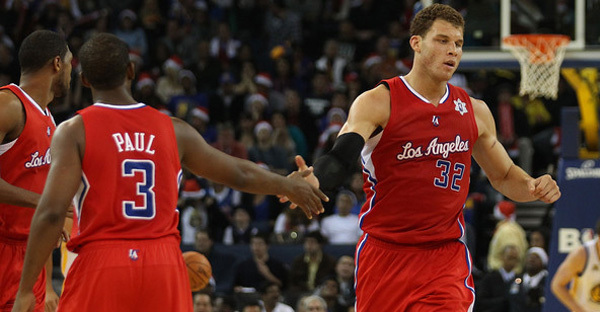 Blake Griffin is pretty overrated, in my opinion… but as far as second-fiddles go, he’s one of the best in the league. Chris Paul is the star of this team and the Clippers managed to retain him this summer, meaning that they will once again be one of the league’s top teams. Eric Bledsoe is gone, but Jamal Crawford returns and new additions Jared Dudley, J.J. Redick, and veteran Antawn Jamison make this a very solid bench. This team is deep, has a pair of stars (including a top-five player), and is coached by one of the game’s best. They should challenge the Thunder and the Rockets for the West’s top seed. Roster: Aaron Brooks, Isaiah Canaan, Patrick Beverley, Omer Asik, Greg Smith, Terrence Jones, Jeremy Lin, Ronnie Brewer, Dwight Howard, James Harden, Omri Casspi, Donatas Motiejunas, Chandler Parsons, Francisco Garcia, Robert Covington, Kevin McHale (Coach). After years of failing to acquire a superstar, the Rockets had one fall into their lap last season when they fleeced the Thunder to acquire James Harden right before the season started. When one superstar is in place, others often follow, and indeed, the Rockets managed to win the Dwight Howard sweepstakes this summer, giving them the league’s best center to pair with its best shooting guard (players must have two functional Achilles tendons to qualify for this title). The supporting cast isn’t great, but its solid, with knockdown shooter Chandler Parsons, hustle-maniac Omer Asik, and Linsanity himself surrounding the two superstars. 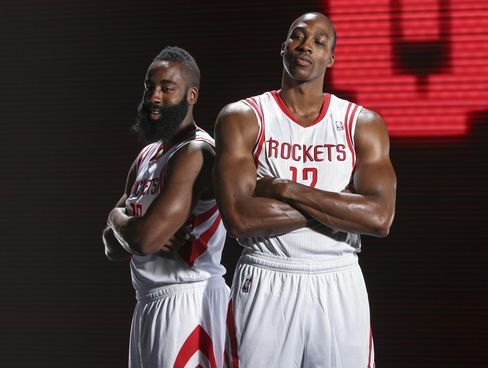 If Harden and Howard are healthy and motivated, this team will be extremely dangerous. If they have injuries, or Howard once again becomes unhappy and/or disinterested, there could be a problem. Roster: Kawhi Leonard, Marco Belinelli, Danny Green, Cory Joseph, Patrick Mills, Tony Parker, Jeff Ayres, Matt Bonner, Aron Baynes, Manu Ginobili, Tim Duncan, Tiago Splitter, Nando de Colo, Boris Diaw, Gregg Popovich (Coach). Every year, we assume that this is the year the aging Spurs collapse, get proved wrong, and are forced to start the next season’s preview with this apologetic sentence. The Spurs should have won the NBA championship last season, but a complete meltdown in the final seconds of game six caused them to miss out on what may have been Tim Duncan’s final chance to get another ring. Each year, the collapse of the Spurs becomes more and more likely. I don’t think Tim Duncan will turn to dust this year, but with Ginobili seemingly on his way there, Duncan can’t be too far behind. 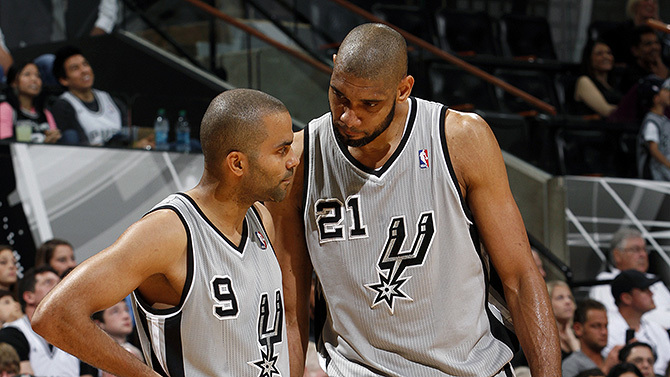 Tony Parker and Kawhi Leonard are younger and give this team some insurance, but to remain a top team, the Spurs need their 2 elder statesmen to hang on for another year. Fortunately for them, I think they have it in them… but the championship window has probably closed. Roster: Toney Douglas, Ognjen Kuzmic, Marreese Speights, Jermaine O’Neal, Nemanja Nedovic, Andre Iguodala, David Lee, Klay Thompson, Andrew Bogut, Kent Bazemore, Draymond Green, Stephen Curry, Festus Ezeli, Harrison Barnes, Mark Jackson (Coach). Stephen Curry had a very solid regular season and a fantastic postseason, but most people are choosing to use the much smaller and slightly more recent sample size, which is why I believe Curry is slightly overrated. However, the Warriors are not a one-man team. David Lee is a very solid power forward, Klay Thompson is a fantastic shooter, new addition Andre Iguodala is one of the most versatile players in the league, Andrew Bogut is a very solid center when healthy, and Harrison Barnes has the potential to become a top scorer. This team is good. Very good, in fact. But I’m not so sure that they’re good enough to crack the top four in this extremely competitive Western Conference. Roster: Jerryd Bayless, Tony Allen, Mike Conley, Nick Calathes, Mike Miller, Quincy Pondexter, Tayshaun Prince, Jamaal Franklin, Jon Leuer, Ed Davis, Marc Gasol, Kosta Koufos, Zach Randolph, David Joerger (Coach). This team is good, but not great. 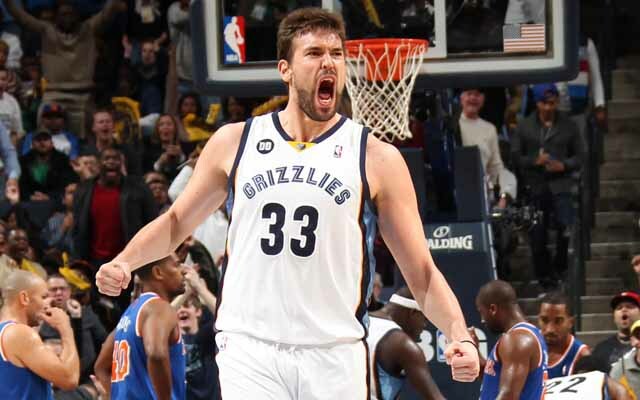 Marc Gasol established himself as a top center in the league on his way to winning the Defensive Player of the Year Award, and Zach Randolph can be very dangerous when his head, heart, and body are all in the game. But the guard play is a bit week, and last year’s midseason trade of top scorer Rudy Gay leaves a big hole in the offense which the Grizzlies failed to address this summer. The Grizzlies lucked out when Russell Westbrook went down with a knee injury, clearing a path for Memphis to advance to the Western Conference Finals (where they were swept aside by the Spurs). The Grizzlies made very few moves this offseason, and they should once again be a middle-of-the-pack team in the West’s top 8 during the regular season, after which they need to hope for another playoff run. Roster: Darrell Arthur, Jordan Hamilton, Ty Lawson, Randy Foye, J.J. Hickson, Danilo Gallinari, Nate Robinson, Anthony Randolph, Wilson Chandler, Andre Miller, Timofey Mozgov, Quincy Miller, JaVale Mcgee, Kenneth Faried, Evan Fournier, Brian Shaw (Coach). The Nuggets had the Coach of the Year and the Executive of the Year last season… and they got rid of both. Color me slightly confused. In addition, Faried, a key part of last year’s team, appears to be a strong candidate to lose his starting spot to Anthony Randolph, despite the fact that Faried has been very solid since being drafted and Randolph has produced almost nothing. Add in the fact that Danilo Gallinari will miss a chunk of the season (at least) with a torn ACL, and the Nuggets are poised for a big drop-off in the improved Western Conference. Roster: Shawn Marion, Samuel Dalembert, Shane Larkin, Bernard James, Ricky Ledo, Jose Calderon, Jae Crowder, Monta Ellis, Devin Harris, Wayne Ellinton, Vince Carter, Gal Mekel, Brandan Wright, Dirk Nowitzki, DeJuan Blair, Rick Carlisle (Coach). The Mavericks did everything possible to land Chris Paul, Dwight Howard, Deron Williams, or even two of those three, and struck out entirely. Where do they go from here? Well, they started by taking big gambles on the next tier of free agents, handing out juicy contracts to Monta Ellis and Jose Calderon in an effort to give the aging, deteriorating Dirk Nowitzki one more chance at a title. The Mavericks should actually have a very solid offense, but the defense looks like it is going to be horrible, meaning that the Mavericks still have a few more moves to make. Roster: Al-Farouq Aminu, Tyreke Evans, Darius Miller, Anthony Morrow, Jeff Withey, Eric Gordon, Jrue Holiday, Jason Smith, Arinze Onuaku, Brian Roberts, Anthony Davis, Austin Rivers, Ryan Anderson, Greg Stiemsma, Lance Thomas, Monty Williams (Coach). If they can stay healthy (I’m looking at you, Eric Gordon), the Pelicans should be able to make a run at the playoffs. Holiday and Davis are very good players, and Evans, Gordon, and Anderson are very solid people to put around those two. The Pelicans have almost no depth, which keeps them from being a top team, but the core is very promising. Roster: Alexy Shved, Gorgui Dieng, Robbie Hummel, Derrick Williams, Ricky Rubio, Chase Budinger, J.J. Barea, Corey Brewer, Nikola Pekovic, Shabazz Muhammad, A.J. Price, Kevin Martin, Ronny Turiaf, Dante Cunningham, Kevin Love, Rick Adelman (Coach). 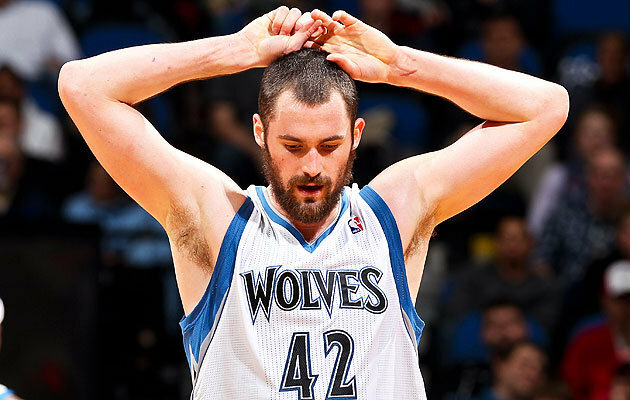 Kevin Love is one of the best players in the NBA, but has had some problems staying on the court. If the Wolves can get a full season from Love and electric young point guard Ricky Rubio, they could be a dangerous team. The addition of Martin gives them a solid second scorer, and Nikola Pekovic is one of the most underrated players in the league. 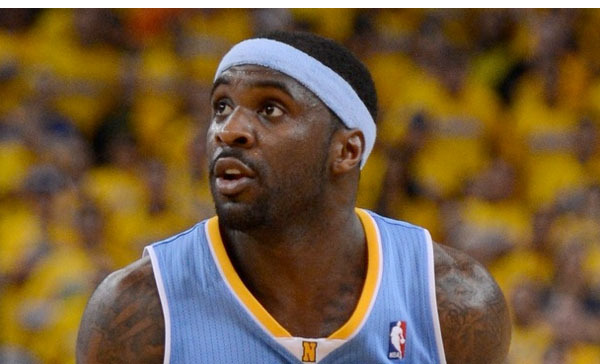 Muhammad and Dieng have upside but cannot be relied on. I have the Timberwolves pretty high considering their lack of depth, but Love is a true superstar, and when healthy, teams with superstars rarely have records much worse than this. Roster: Damian Lillard, Dorell Wright, Wesley Matthews, C.J. McCollum, Will Barton, Meyers Leonard, LaMarcus Aldridge, Earl Watson, Victor Claver, Joel Freeland, Allen Crabbe, Maurice Williams, Thomas Robinson, Robin Lopez, Nicolas Batum, Terry Stotts (Coach). It would have taken a complete genius to predict that Damian Lillard would win Rookie of the Year last season over Anthony Davis. On an unrelated note, I predicted that Damian Lillard would win Rookie of the Year last season over Anthony Davis. The second-year point guard is exciting and should be a star before too long, and he is paired with one of the best big men in the game in LaMarcus Aldridge. Wesley Matthews is a solid role player, Nicolas Batum is a decent scorer, and Thomas Robinson is only one year removed from being a top-five pick in the NBA draft. The Blazers added two solid rookies in June; both McCollum and Crabbe have the potential to be special. This team has the potential to make a run at the 8-seed in the West, and would certainly make the playoffs if they played in the East. 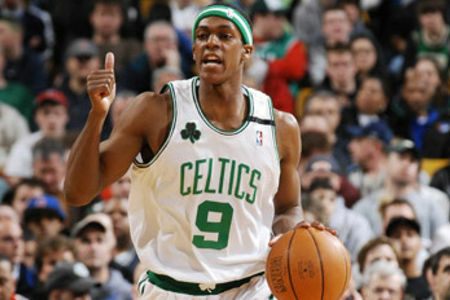 In the end, however, I think they will fall just a bit short unless they can pick up another star in a midseason trade. Roster: Nick Young, Jordan Farmar, Elias Harris, Shawne Williams, Ryan Kelly, Steve Blake, Xavier Henry, Chris Kaman, Steve Nash, Wesley Johnson, Pau Gasol, Jodie Meeks, Kobe Bryant, Jordan Hill, Robert Sacre, Mike D’Antoni (Coach). Choosing to employ an absolutely terrible coach instead of one of the best coaches of all time was certainly a gutsy move by the Lakers, but it didn’t pay off last season as Kobe and his five rings struggled to get into the playoffs. Kobe blew out his Achilles at the end of the season, Dwight Howard bolted for Houston in the summer, and Steve Nash is breaking down before our eyes. The Lakers are a long shot to make the playoffs, and depending on how long Kobe is out (it is clear that his hopes of playing on Opening Night were delusional), this could get ugly. Roster: Enes Kanter, Marvin Williams, Trey Burke, John Lucas, Andris Biedrins, Derrick Favors, Gordon Hayward, Ian Clark, Richard Jefferson, Brandon Rush, Rudy Gobert, Mike Harris, Jeremy Evans, Jamaal Tinsley, Tyrone Corbin (Coach). Gordon Hayward has proven to be a very solid NBA player, and the Jazz have 2 big men with star potential in Favors and Kanter. The loss of Millsap hurts, as does Trey Burke’s injury which will keep the rookie guard out for the beginning of the season. 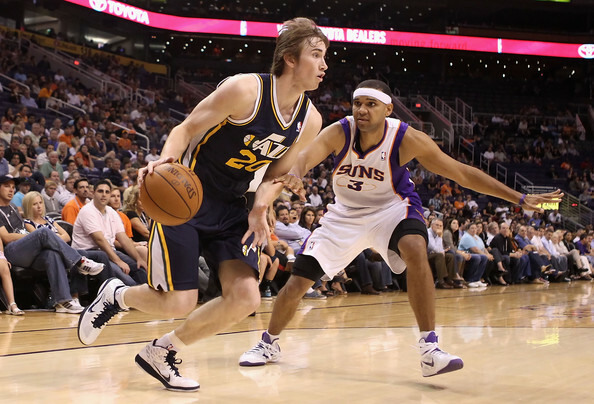 The Jazz were decent last year but will almost certainly take a step back in 2013-2014. 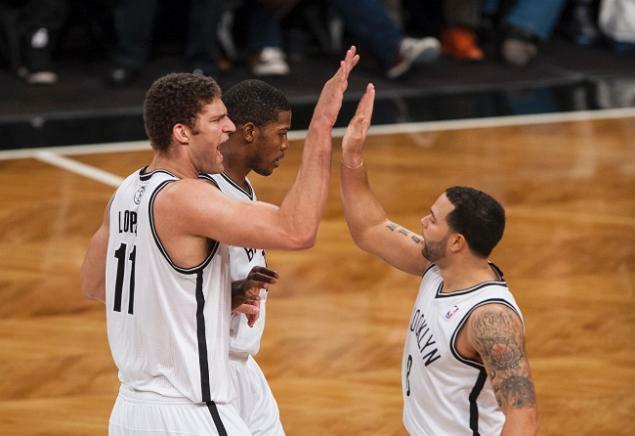 The future, however, is not all that bleak, with cap space and draft picks on the horizon. Roster: Ray McCallum, John Salmons, Jimmer Fredette, Patrick Patteson, Greivis Vasquez, DeMarcus Cousins, Ben McLemore, Isaiah Thomas, Marcus Thornton, Carl Landry, Travis Outlaw, Luc Richard Mbah a Moute, Jason Thompson, Chuck Hayes, Hamady N’Diaye, Mike Malone (Coach). The Kings actually have a somewhat acceptable amount of talent on the team, even after losing Tyreke Evans in free agency. 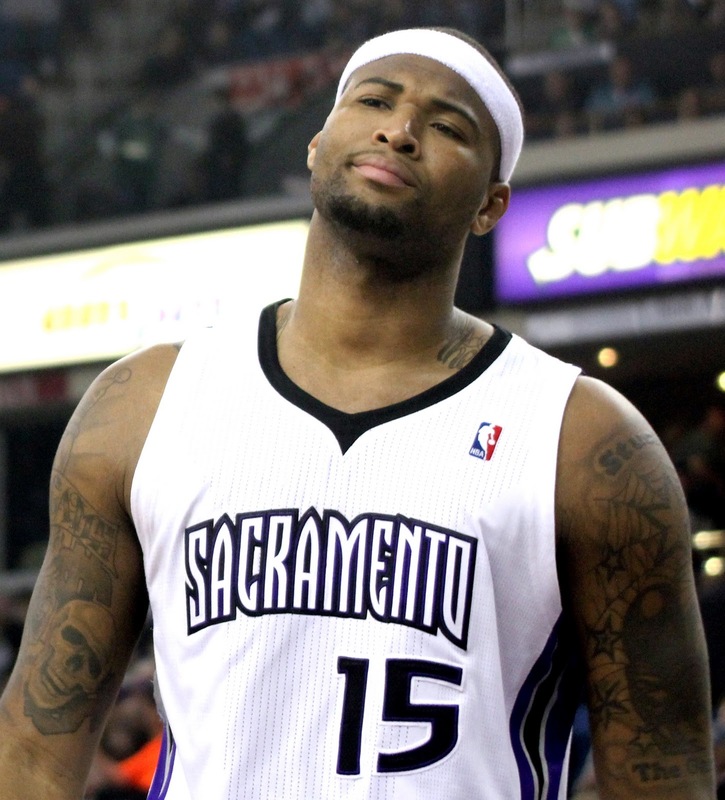 DeMarcus Cousins is a headcase, but he is one of the best centers in the NBA. Still, there’s really not enough on this team for a playoff run to be remotely conceivable. Roster: Goran Dragic, Eric Bledsoe, Ish Smith, Channing Frye, Markieff Morris, Gerald Green, Marcus Morris, P.J. Tucker, Archie Goodwin, Alex Len, Miles Plumlee, Dointe Christmas, Emeka Okafor, Sasha Kravtsov, Jeff Hornacek (Coach). With the first pick in the 2013-2014, the Phoenix Suns select… Andrew Wiggins, Freshman, from the University of Kansas. Just kidding… the team with the worst record never wins the lottery. But seriously, this team is dreadful. 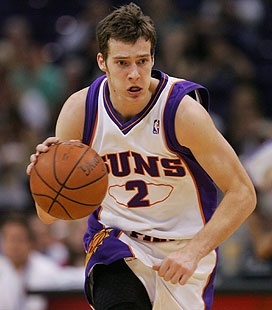 They made a nice trade to get Eric Bledsoe, but traded away Gortat, and Dragic will probably be next. The Suns probably won’t break the record for worst winning percentage in a season, but they might make it close. This one shouldn’t really be close…. 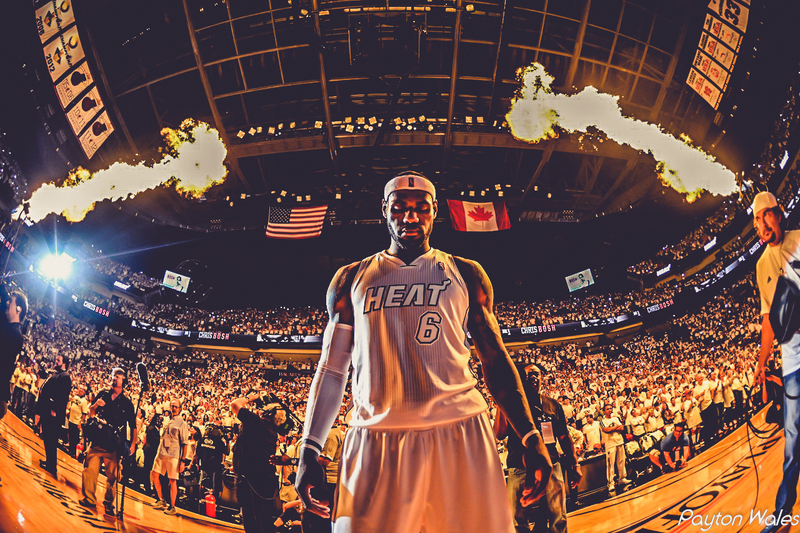 LeBron isn’t going home in the first round. Uncle Drew could very well match Rose point-for-point, but the Bulls are much deeper once you look past the star point guards. 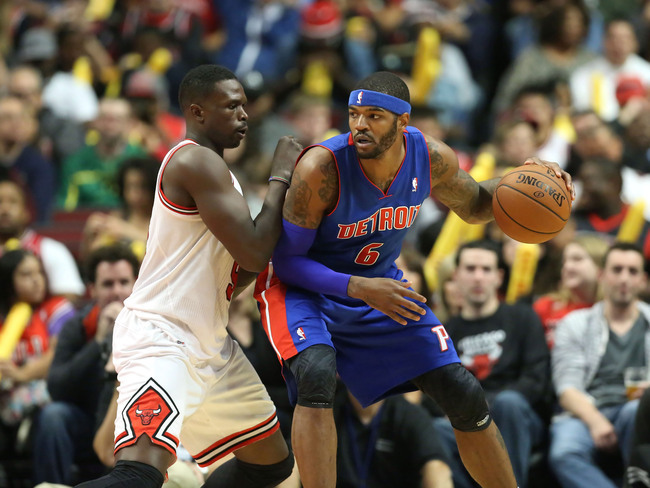 Both teams have fantastic frontcourts, but the Pistons are far less experienced and a bit weaker across the board. Easily the most intriguing series of the first round. Will the aging and injury-prone Nets still be healthy at this point? I’m not so sure, so I’ll give the edge to the home team. 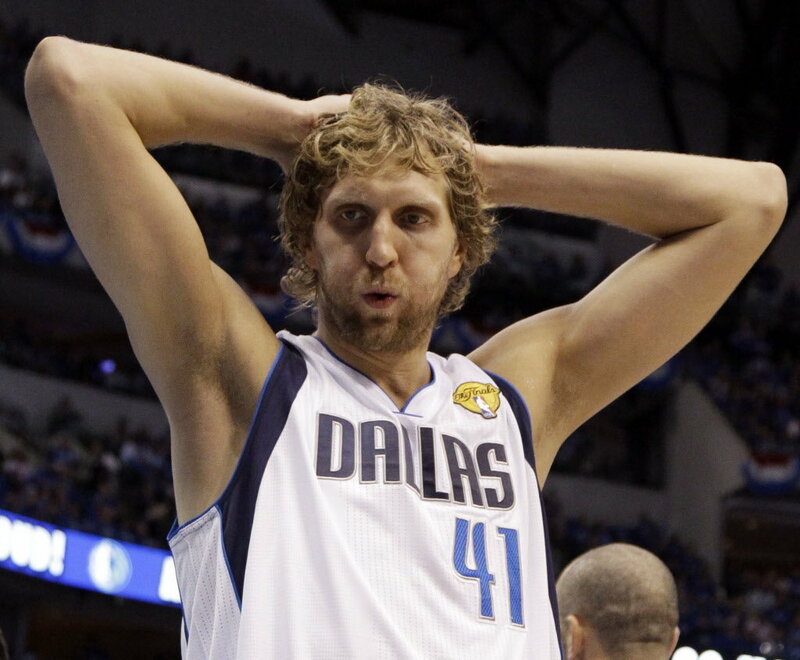 Both teams have solid offenses, but the Mavericks can’t possibly hope to match up on defense. With Gallo back, the Nuggets should be better than your average 7th seed, but still not good enough to beat the Clippers. Superstars win in the playoffs. The Rockets have two of them. #4 Spurs vs. #5 Warriors. I don’t think the aging Spurs will be able to keep up with the Warriors. 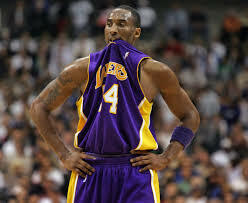 But picking against the Spurs still makes me nervous. The Pacers should give the Heat another tough series, but Miami can’t possibly be foolish enough to take them lightly again this time around. #2 Bulls vs. #3 Knicks. The Knicks struggle with guarding point guards, which gives the Bulls an edge in this physical matchup. 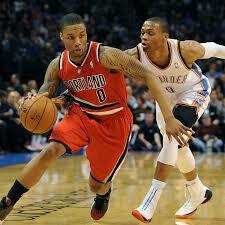 Once again, the Thunder’s defense will give them an edge against the more one-dimensional Warriors. This will probably be the most fun series to watch in the West. Howard will be Blake Griffin’s worst nightmare if he hasn’t demanded a trade at this point. The inexperienced Rockets could fall apart, but I like them on paper if their shooters are knocking down the open looks once Howard draws the double-teams. These two teams are pretty evenly matched, but the Heat have more star power, and as good as Rose is, it’s hard to pick against the King. 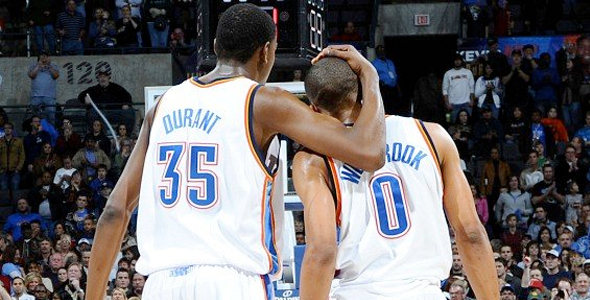 Between the two superstar duos, Harden and Howard probably fit together better than Durant and Westbrook. But the Thunder will have a superior supporting cast, and the best player on the floor when the game comes down to the wire. Thunder in 7, but it was still a dumb trade. 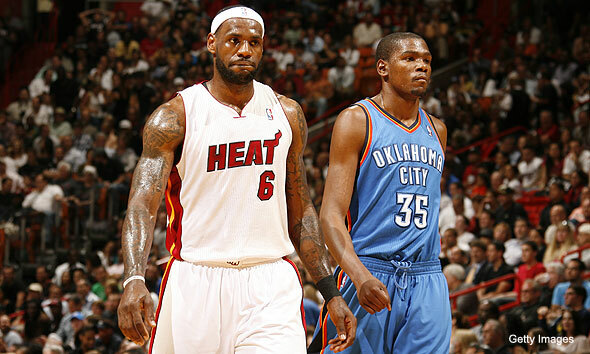 #1 Heat vs. #1 Thunder (Heat have home-court advantage). With the Thunder’s core having developed farther, and with Wade having slipped a bit, this matchup should be much closer than it was two years ago… but I’m going with the same outcome in the end. There are so many elite teams this season, and so many young superstars. This should be one of the best NBA seasons yet, so enjoy the ride, whether your team is chasing an NBA Championship or Andrew Wiggins. This entry was posted in Articles and tagged Danny Granger, Derrick Rose, KNICKS, KNICKS MEMES, knicks memes preview, knicks predictions, lebron james, Miami Heat, nba, nba awards predicitons, nba predictions, nba preview, Roy Hibbert, Tom Thibodeau, Tommy Rothman, tommy rothman knicks, tommy rothman nba preview, tyson chandler on October 29, 2013 by Tommy Rothman. that the body was sick ‘ and also to listen consciously to exactly what my body necessary. If time period is perhaps not properly divided, one might lose important relationships. Desk v – Worker e – Lance Linked – In. Hiya. I came across your website making use of live messenger. It is deemed an very snugly composed post. I will be likely to take note of the idea and are avalable to find out more of this tips. Wanted submit. Let me certainly give back. These are the best predictions I’ve seen yet. Some of the records are a bit too low, but I agree with most of your seeding decisions.